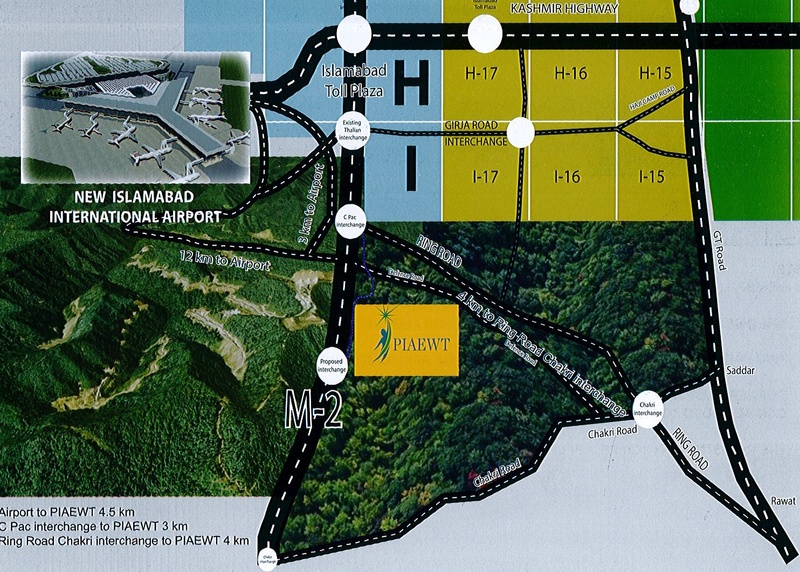 PIA Enclave Islamabad is ideally located at about 4.5 KM from New Islamabad Airport. Its distance from CPEC interchange is about 3 KM. It will have easy access through proposed Rawalpindi Ring Road as well as Motorway through CPEC Interchange and Chakri Interchange. 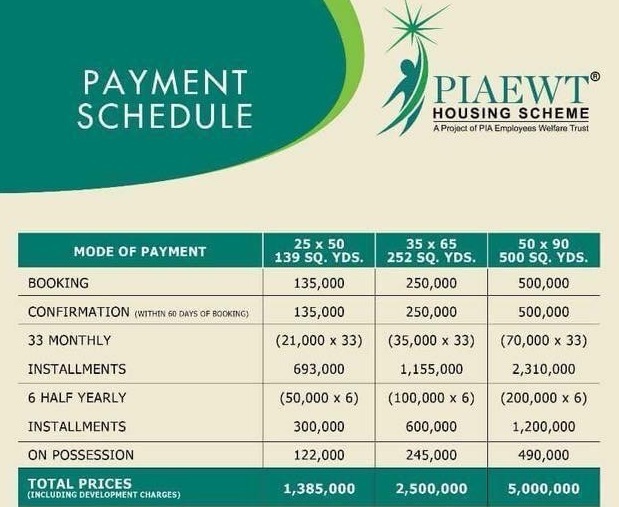 PIA Enclave is basically a housing project meant for PIA employees, therefore it is planned to be standard housing development. There is no exact information available as to the land area acquired by the society for this project, however it seems to be a large housing project. There are a total of 6 residential blocks in PIA Enclave, i.e. Block A, B, C, D, E and F. Each block has different numbers of 5 marla, 10 marla and 1 kanal residential plots. This plan is still provisional, and is subject to change in future due to any change in plan or further expansion of the project. PIA Enclave Islamabad offers limited 5 marla, 10 marla and 1 kanal residential plots on 3 years installment plan. 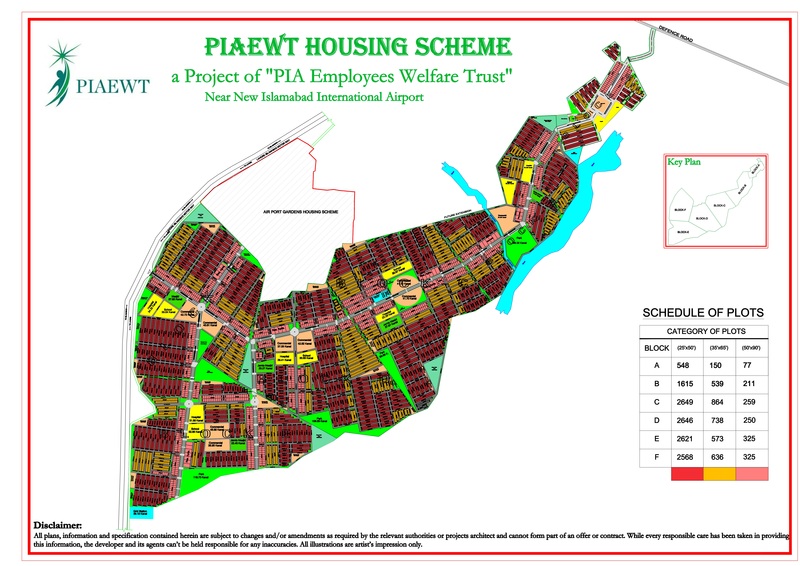 Since it is a housing scheme by PIA Employees Welfare Trust, plot prices for PIA Employees are lower than the plot prices for general public. Bookings start from 20% down payment, while remaining amount is payable in 3 years easy installment plan.